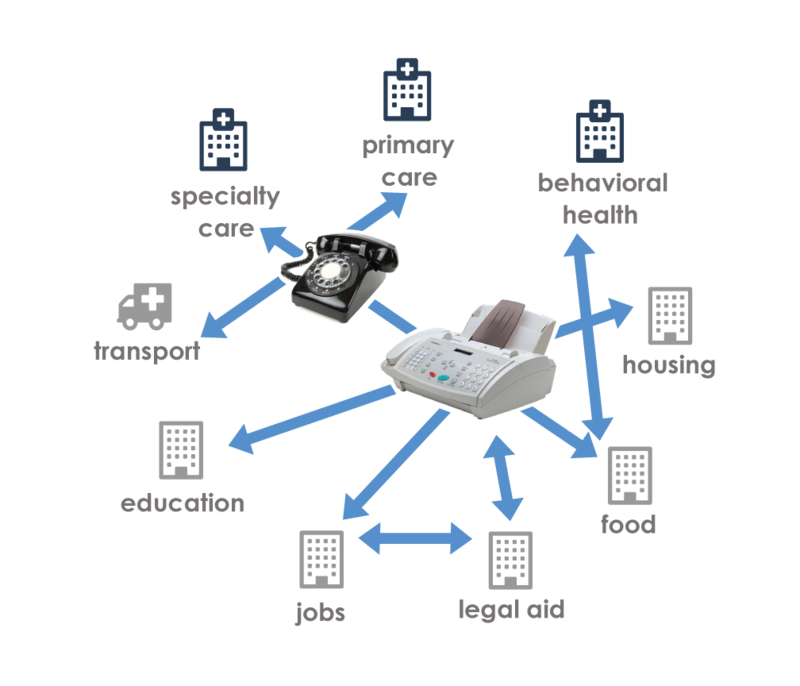 Today, health and social service providers in the community work on “care islands” – – while they appear close in proximity, communication and reporting barriers make it difficult for providers to track and coordinate care as an integrated team. Communities with fragmented systems of care produce relatively low achievement in population health and well-being. 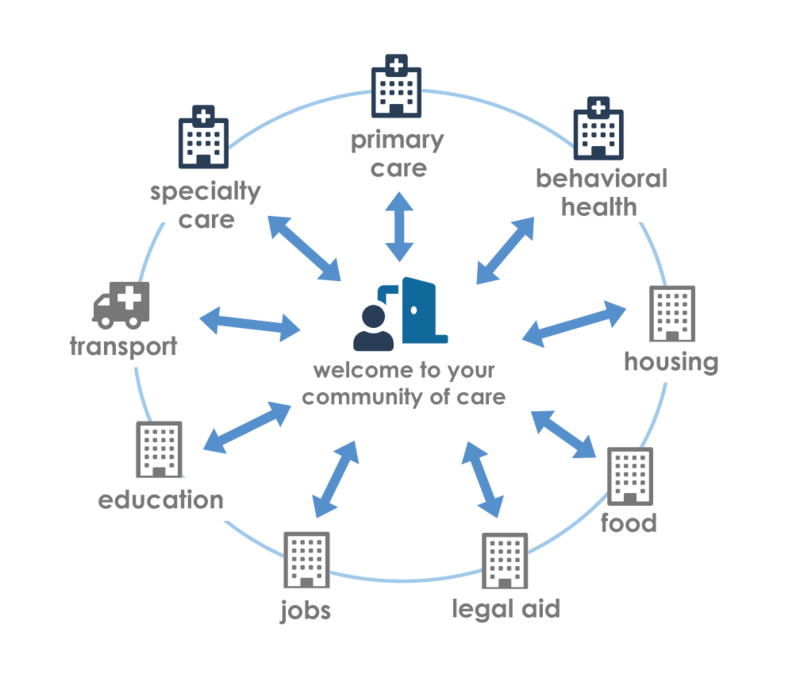 To improve population health and well-being, communities are breaking down care silos to create connected and sustainable systems for delivery of whole-person care – – systems where providers work together to direct their specialized capabilities towards common goals for individuals and populations. Aligning people, processes, and incentives across organizations and sectors: medical, dental, behavioral, social service, first responders, housing, transportation, legal, education, etc. We are group of PNW communities, provider organizations, and technologists dedicated to creating connected and sustainable systems for delivery of whole-person care. We call these new systems Natural Communities of Care. A Natural Community of Care is a fully integrated system of care where health and social service providers work together to ensure there is “No Wrong Door” for people to access the care and services they need. A Natural Community of Care is designed to improve the population health and well-being of individuals and populations. Organizations can disseminate strategies, workflows, and best practices that improve population health and well-being. When you join the Health Commons Project, you are assigned a Commons Project Team. The team works with your organization at the “grassroots” level to create and sustain a Natural Community of Care. The Commons Project Team follows IHI’s Pathways to Population Health Framework to ensure that your voice and goals are fully understood and there is a plan for success. 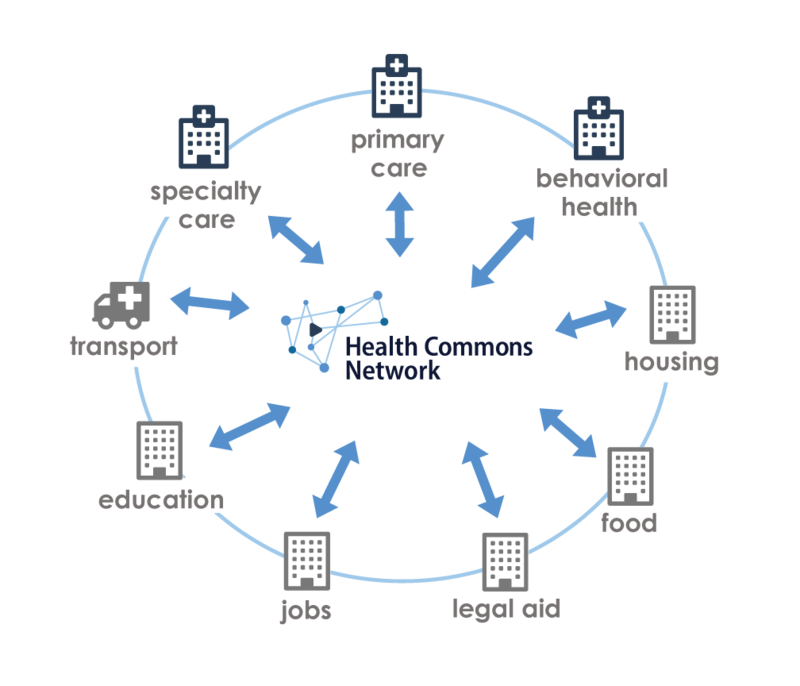 The Commons Project Team guides you through the following steps to create a Natural Community of Care and connect to the Health Commons Network (Commons). The Commons supports a wide range of digital tools including Electronic Health Record, eReferral, Health Information Exchange, eConsult, Secure Chat, Digital Consent and Remote Monitoring. The Commons is vendor agnostic. The Commons Project Team works with your organization to identify and implement best-in-class technology based on what is best for each pilot test / use case. The Commons operates like a public utility. Partnering organizations in a Natural Community of Care develop a financial model to sustain the Commons. Each organization that connects to the Commons uses their voice to drive system improvements. contact Adam Davis at ADavis@pugetsoundfire.org. © 2019 The Health Commons Project.